Credit unions have been regularly engaging with federal legislators during Congressional breaks and with state legislators during the off session. These “breaks” provide a window of time for credit unions to engage with legislators locally – at town halls, in civic meetings, at church or at credit union events. On August 17th U.S. Congressman Rob Woodall (R-7) met with Associated CU to hear from their leadership and staff on the efforts to help members, trends and needs. Rep. Woodall serves on multiple committees, including the House Committee on Rules (which decides what bills go to the House floor for a vote). Rep. Woodall is also chairman of the Subcommittee on Legislative and Budget Process of this powerful committee. Illustrating the unique legislative needs of credit unions and how they help their members is helpful so that when he considers bills, he has a well-rounded perspective. 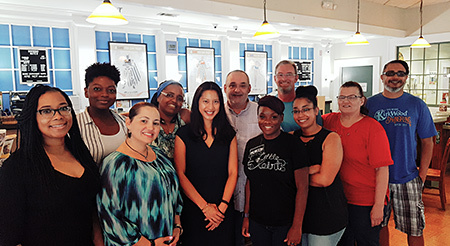 On August 22nd state Rep. Bee Nguyen (D-Atlanta) met with BOND Community FCU to learn more about the role of credit unions in her district. During the tour, the aspect of working with members to prevent foreclosures (and the importance of the non-judicial foreclosure process to this ability) was illustrated, as well as the importance that credit unions play in the lives of consumers. The tour with Rep. Nguyen helped grow perspective, but for all credit unions in advancing the legislative influence for the industry. Rep. Nguyen highlighted her visit with BOND Community FCU in her constituent newsletter, illustrating what makes credit unions unique. Our thanks to the team at BOND for making such a positive connection! On August 23rd Combined Employees CU engaged with their local area legislators at the Perry Chamber of Commerce Annual Legislative Reception. 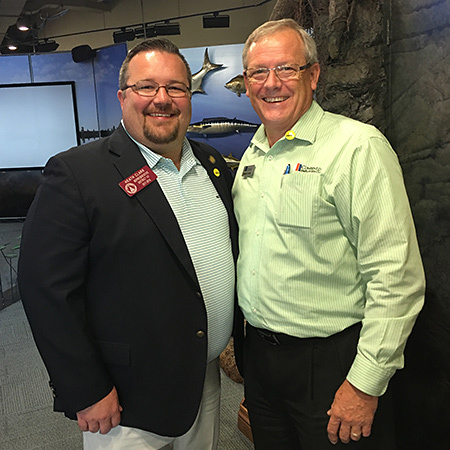 This chamber event provided the opportunity to reconnect credit unions with legislators and grow awareness of the industry. Our thanks to Robby Glore, CEO of Combined Employees CU, for participating! Connections such as at meetings and tours are an ideal way to engage with legislators. And, tours are a fantastic way to expand awareness and understanding with the legislator, and engage your staff in the process. Please consider hosting a legislator at your credit union leading up to the 2019 elections. For the short time commitment, credit unions can advance the industry and build relationships – all while showcasing what makes their credit union unique! Our thanks to both Associated CU and BOND Community FCU for hosting these two legislators in this manner and to Combined Employees CU for proactively reaching out to their legislators! If your credit union connects with legislators, please let us know.